When we were asked to create a homepage for the largest group of Wendy's franchise owners from around the country, we knew we wanted to create something that was more than just the standard association website. Because we knew the people looking at this site, the franchise owners, were sophisticated businesspeople with connections in the business world. Connections to friends who might have businesses themselves, also looking for web design from a Columbus web design firm. 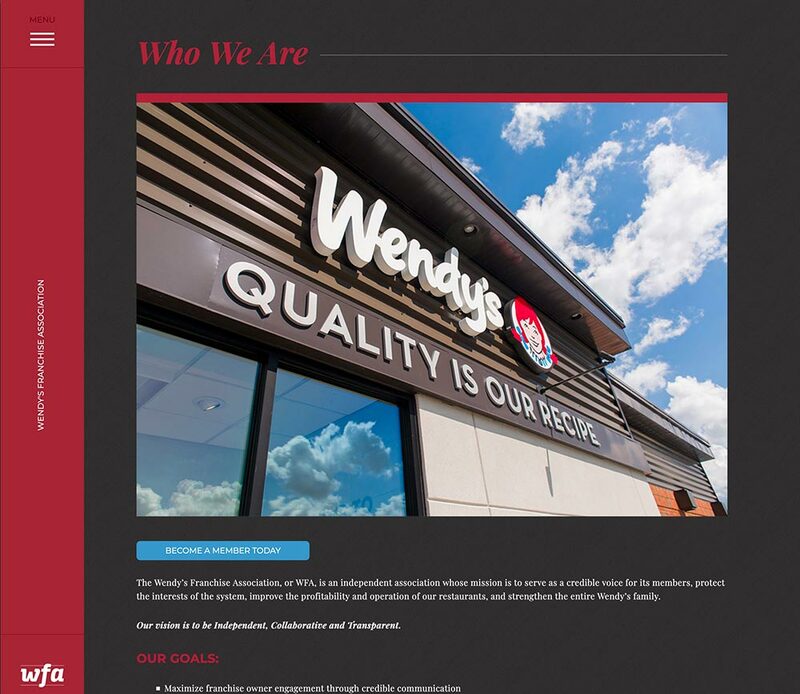 If we were able to impress this group of Wendy's franchise owners, it was our hope that the new website would resonate with them. Maybe enough to show it off to friends and colleagues. Since it's a relatively new website, those connections haven't made their way back to us yet. However, just the potential for that motivated us to design and build something that was a little more unusual. 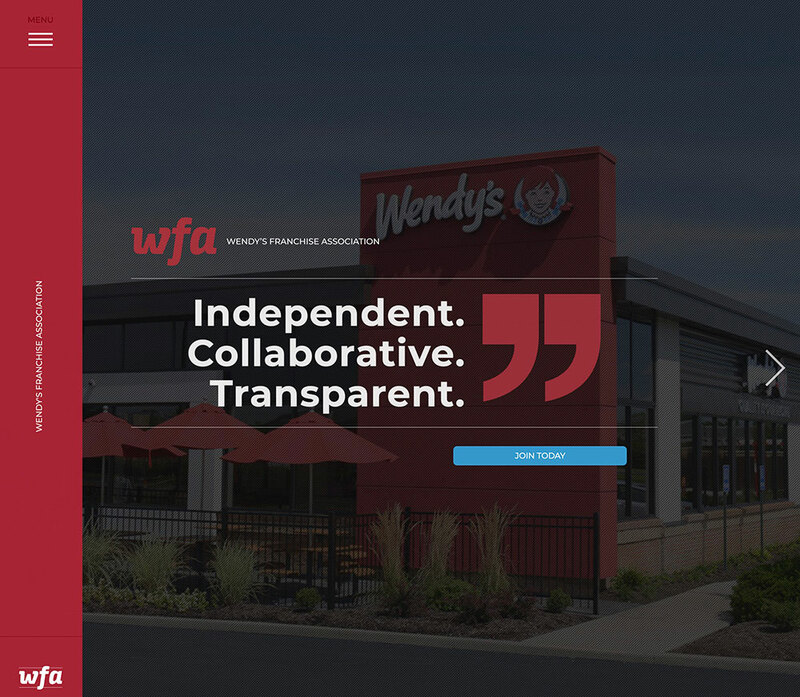 If you go to the Wendy's Franchisee Association website, you'll see how it moves. How, with a scroll of the mouse, instead of the motion being scrolling down to see more of the website, the down motion of the scrolling moves the website's homepage horizontally. When we design websites, we look to other sites for inspiration. Not necessarily other websites within the industry we're working in, but within other, creative industries. They could be clothing websites, music websites or sports-related websites. But whichever it is, we then try to put our own spin on whatever the inspiration came from. It opens up all kinds of new options when we do this. So no matter what industry you're in, we can bring a fresh look to the table for your website, or print project. For example, in addition to designing websites, we also do print and advertising.